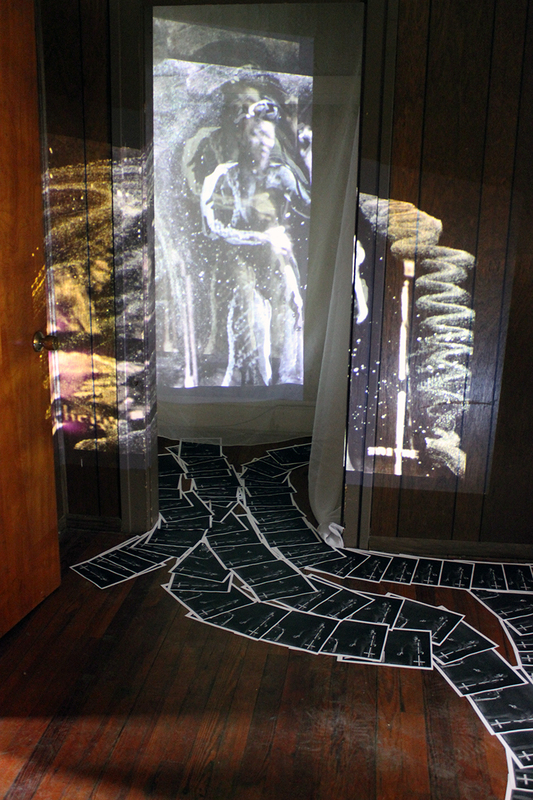 Memory of Nina is a video installation created in an abandoned home in Slavic Village, Cleveland as a part of ROOMS to LET, 2014. The piece is created with Rian Brown's DIG TAC animation process, 500 individual frames from a 1969 concert of Nina Simone were printed out and hand-painted and then rephotographed to create this ghostlike image. The video was projected into the closet. The hand painted frames are scattered onto the floor.